Tune your spirits in the dream land of Singapore! If you are looking out for some exotic experience, then Singapore should be your destination! We share with you some of the entertaining Singapore events which will be celebrated in June and July.With the increasing tourist flow from India to Singapore, it is easier way to get a Singapore visa for Indian passport holders. Want to rejuvenate your music bone? Then here comes the Baybeats festival to rock your spirits! Presented by the Esplanade-Theatres on the Marina Bay, this is the most happening music festival, where you can experience popular Singapore and international acts which include folk, pop, metal, post-rock, emo, punk, electro and much more. This rocking festival is sure to sweep you off your feet with breathtaking music-making workshops, music journalism, concert photography and video production. Are you looking for an opportunity to showcase your music band? Then you could perform at this festival and be a part of the budding band. You could connect with the music mentors and further enhance your skills. Dates to Block: June 26, 2015 - June 28, 2015. Where to go: Esplanade-Theatres on Marina Bay, Singapore. Be a part of the Hari Raya holy festival in Singapore and experience the wonderful Malay culture and heritage. This Ramadan fasting period of the year is celebrated with great enthusiasm and people are seen carrying out charitable deeds and acts of compassion. The air is filled with positive energy and everyone irrespective of their race is seen participating in this grand festival. As the sun sets, you will see people along with their families and friends breaking their fast with evening prayers and meals. The streets of Geylang Serai and Kampong Glam along with the street bazaars are bustling with the festival spirit. Stalls on the dazzling streets open from early afternoon till late into the night, selling an exotic variety of fashion, textiles and handicrafts which include the hand-woven cushion covers and Persian carpets. Don’t miss out on the mouth-watering traditional Malay cakes and pastries called ‘kueh-kueh’. Where to go: Streets of Geylang Serai and Kampong Glam, Singapore. For the foodies, here is a great opportunity to celebrate and feed your fire! 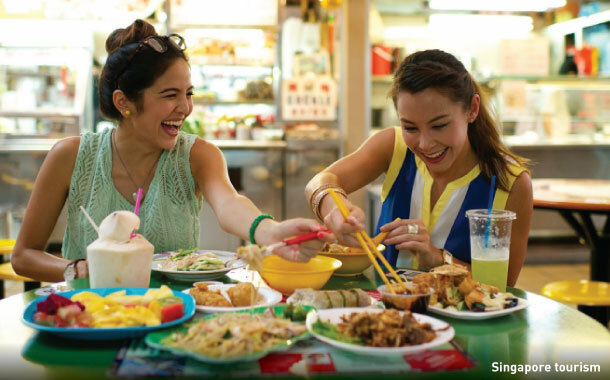 An initiative by the Singapore Tourism Board, this food fiesta treats you with an alluring variety of delicious cuisines from across the globe. The popular attraction is the signature plates prepared by the country’s best chefs. You will be tempted by the large number of stalls catering to every tastes. Black pepper crabs and chilly crabs are among the tantalizing delights. Be there to indulge in the authentic and traditional delicacies while you wander in the happening streets. Dates to Block: July 10, 2015 - July 19, 2015. Where to go: Various venues across Singapore. Want to experience the enthralling water-battle? Then lift your sporty spirit an witness the Singapore Dragon Boat Festival yourself! This dragon boat racing is celebrated for two days with thumping drumbeats and delicious dumplings. As the race begins, you will see flags being waved, drums being beaten and thrill on everyone’s faces. According to the popular legend, the ancient Chinese scholar ‘Qu Yuan’ drowned and in order to save him, the locals began to race and beat the drums to scare the fish away. This event has gained immense popularity and inspires teams from all over the world to participate in this adventurous race and compete for the trophy. Boats decorated with colourful dragon heads make for a fascinating sight. Dates to Block: July 11, 2015 - July 12, 2015. Where to go: Bedok Reservoir, Singapore.